Born in India, Priya Kambli moved to the United States in 1993, at the age of eighteen a few years after the death of her parents, to pursue her education. For Kambli, photography is a means to bridge the gap between two cultures, come to terms with the effects of displacement, and to illuminate connections between the past and the present. Kambli creates digital compositions that juxtapose older family pictures from India with artifacts she brought from home, along with her own recent photographs, using arrangements of multiple images to bring out visual and poetic correlations. The projects have a genealogical aspect, as Kambli gathers and recontextualizes the records of her family history, her own photographs introduce staged, fictional elements as well, underlining the performative nature of identity. 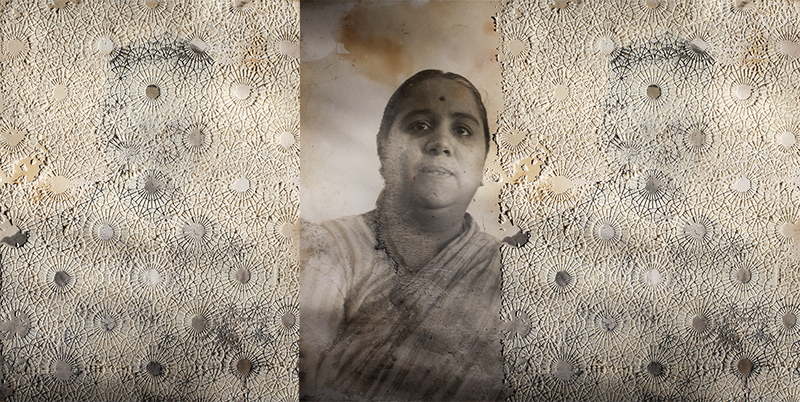 In some instances Kambli wears clothing or jewelry that resemble what her mother—or she herself as a child—is wearing in an earlier photograph; in other images she poses in a way that echoes how one of her family members presents herself to the camera. In many of her compositions Kambli also includes photographs of patterned cloth, recalling Indian saris, which contribute to the rhythm of internal frames and create another visual bridge between now and then, here and there. Priya Kambli holds a BFA from the University of Louisiana, Lafayette (1997), and an MFA from the University of Houston, Texas (2000). 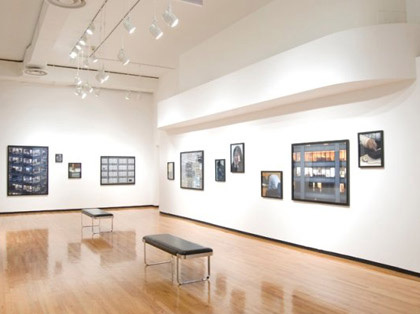 Her work has been the subject of a number of solo exhibitions in the Central United States and included in exhibitions at Silver Eye Center for Photography, Pittsburgh; Center for Photography at Woodstock, New York; Houston Center for Photography; Photography Resource Center at Boston University; SF Camerawork, San Francisco, and others. Since 2000 Kambli has taught at Truman State University in Kirksville, Missouri.